We've just got hold of three new animal onesies by fab onesie brand Sweet Holic. There's the blue monkey, the orangutan and the red monkey. 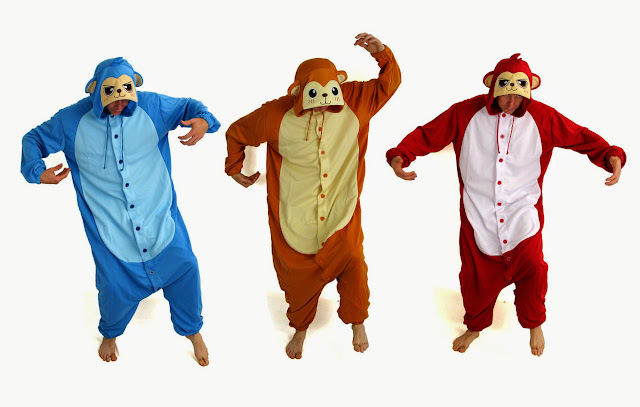 All of these onesies are made in three adult sizes, and as high quality and comfy as they are hilarious. We're sure you guys are going to go ape for them! Head on over to our monkey/ape gifts page, to buy them now!